We do look for costumes on special occasions such as Halloween & themed based parties where people express themselves by wearing their favorite characters. 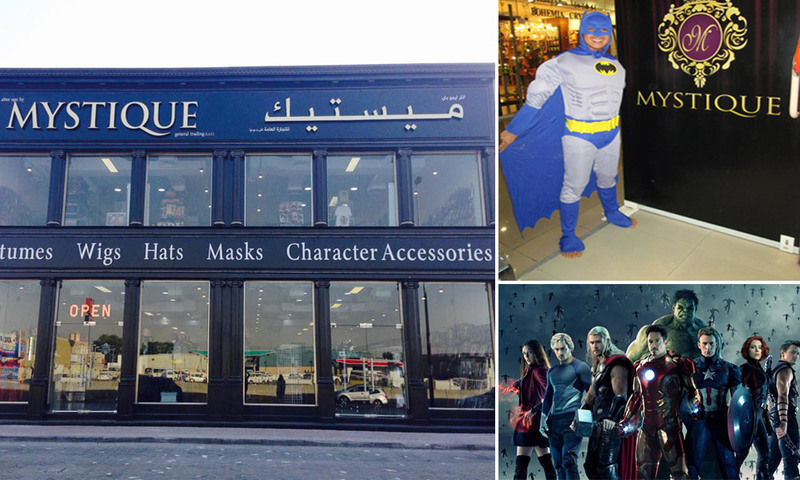 If you’re in Dubai and looking to buy costume, we have reviewed Mystique Costumes shop below. The Mystique Costumes is one of the preferred costume in Dubai, providing a wide range of products, ranging from costumes to wigs, hats, masks and other accessories. What makes them unique from other costume shops in Dubai is the fact that they have an online store where customers can browse wide range of costume products and accessories. For the same reason they are also tagged in a Costume Shop Dubai article, where we have discussed best costume providers in Dubai for every occasion. The Mystique Costumes have a wide range of products for every occasion. From Zombies to Witches, Vampires to Uniform, Star Wars to Super Heroes, Nurses to School Girls, Pirates to Sailors, Native Indians to Ninjas, Heroes to Villains, Cosplay to Anime, they certainly have the biggest range of costume products in Dubai. The most expensive costume on their shop is Collector’s Halo Master Chief, available at the price of USD $1,400 & the cheapest is Long Hooded Cape, available at the price of USD $20. Mystique Costumes advise customers to buy products as per their size & selection. There is no refund given to the customers unless a product is defective. Upon returning a defective item, if there is no stock available, then the customer will receive store credit or refund. For Dubai, Abu Dhabi & Sharjah, Mystique Costumes provide free shipping for the order above USD $50. For orders below $50, there is a minimum charge of USD $6. For Ajman, Fujairah, Umm al-Quwain & Ras Al-Khaimah, there is a minimum charge of $6 for the orders above USD $50 and charges of $12 USD for the order below 50 dollars. There is no free shipping to these emirates. The Mystique Costumes also ship to other countries and they charge USD $75 for international orders. For the online payments, the preferred mode of payment is credit card & PayPal. The cash on delivery is available most of the time, but during the high peak season like Halloween, they don’t accept cash on delivery as a payment option. Shop No. 1, Al Barsha 2, Umm Suqeim Street, Dubai, United Arab Emirates. You can buy your favorite costumes from Mystique Costumes by visiting their online store.